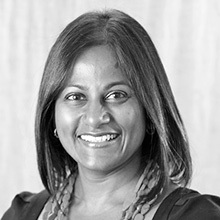 Yamini Naidu is a global thought leader in influence, storytelling and leadership. She is an economist by training, a master influencer by profession and works with business leaders all over the world helping them quantum leap their influence. Yamini is also co-author of “Hooked: How Leaders Connect, Engage and Inspire with Storytelling”. ‘Kapow’ - Triple your Influence! How can you move from disruption to sustainable growth using the tools of influence? Influence is about creating shift in mindsets, behaviours and in the world. Influence can make the difference between achieving results or not, persuading stakeholders in a certain direction or not, winning that pitch or losing. Even in our personal lives, our ability to influence determines our own well-being, happiness and results. Kapow is a moment when your influence quantum leaps so you can create the change you want as a leader, in your organisation and in the world.